HBO is ready for a new conversation. Recently, the network announced their new TV show, The Shop, will premiere later this month. 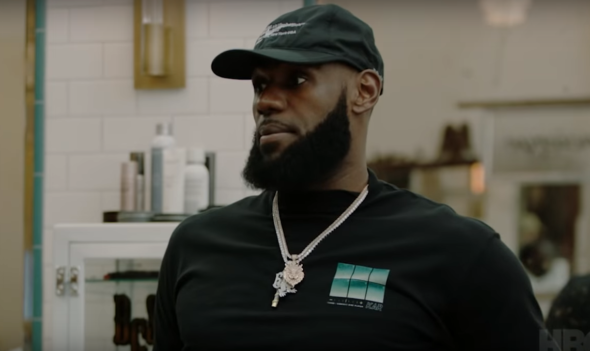 The docuseries offers “unfiltered conversation and debate with some of the biggest names in sport and entertainment, the show will air periodically throughout the year.” Guests include LeBron James, Jon Stewart, Snoop Dogg, and Odell Beckham Jr. The Shop premieres on HBO on August 28th at 11 p.m. ET/PT. The groundbreaking series features a powerhouse lineup starring four-time NBA MVP LeBron James and Maverick Carter. Among the headliners on the first show are rap icon Snoop Dogg, New York Giants superstar wide receiver Odell Beckham Jr., emerging star running back Alvin Kamara of the New Orleans Saints, Golden State Warriors star and three-time NBA champion Draymond Green, Los Angeles Sparks star and two-time WNBA MVP Candace Parker and Peabody and Emmy(R) winner Jon Stewart. For nearly two decades, HBO Sports has been responsible for some of the most compelling unscripted sports programming, with a stylish and contemporary approach keyed by unrestricted access. “Hard Knocks,” launched in 2001 in partnership with NFL Films, has won 16 Sports Emmy(R) Awards, and kicks off a new season Aug. 7, while the groundbreaking all-access reality franchise “24/7” has earned 18 Sports Emmy(R) Awards. What do you think? Are you a fan of LeBron James? Will you check out his new HBO series? More about: HBO TV shows: canceled or renewed?, The Shop, The Shop: canceled or renewed?